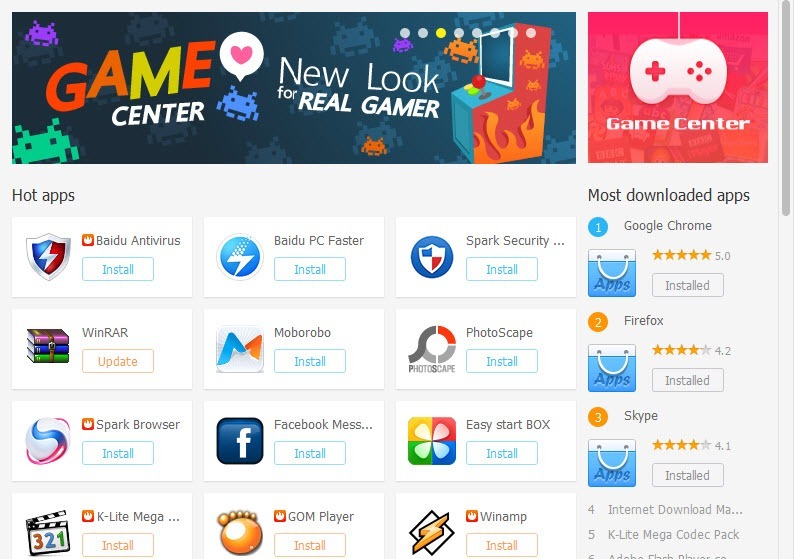 PC App Store is a free application developed by Baidu that is helping you keep the installed applications up to date with just a few clicks. It includes a plethora of features like an uninstaller and an applications store to look for programs you may need. It can do different operations line downloading, updating, installing, managing and uninstalling programs and games. You can keep your PC notified with the latest updates for all the applications. It automatically scans your computer for outdated software and then informs you of what programs need updating. It also offers you some additional features which you may find useful. 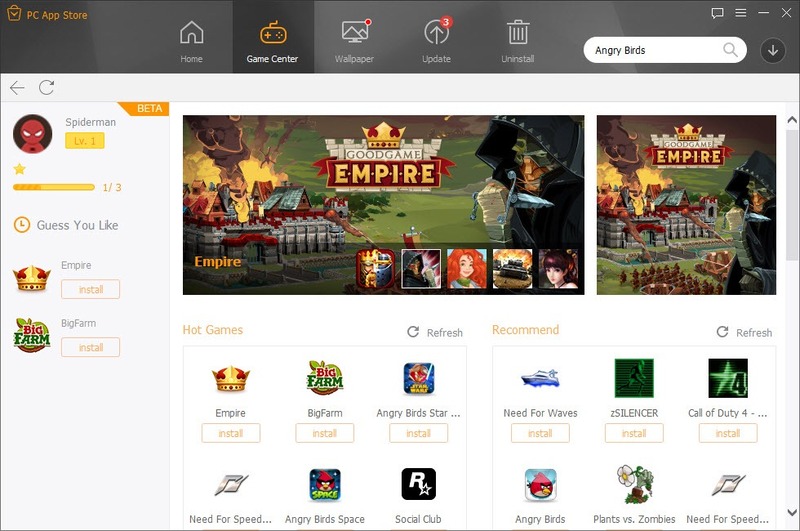 It also includes things like a free store from which you can download software and games about you are interested. The uninstalling tool removes programs that you no longer want. A changelog is shown for each action. 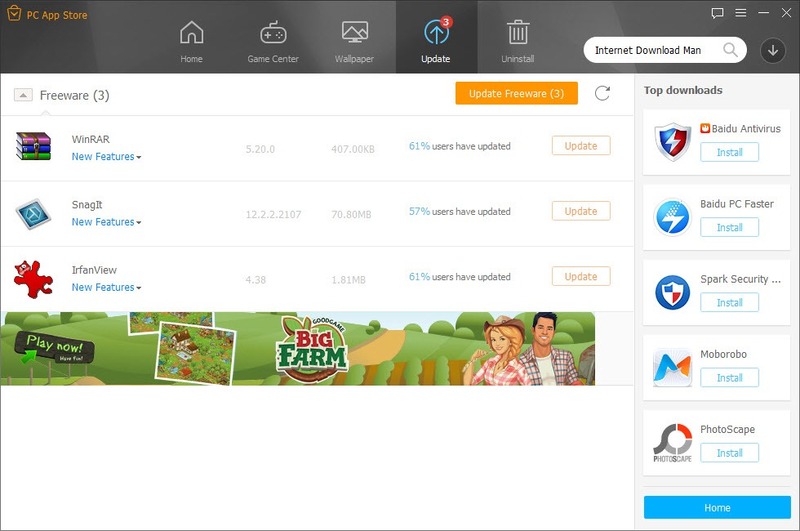 It eliminates the setup files for updates you have downloaded automatically if no longer needed. 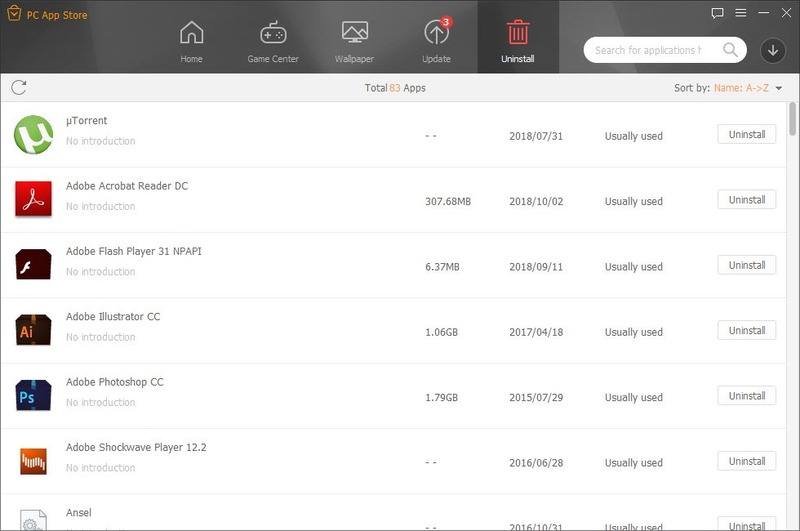 PC App Store helps you in keeping your computer free from unnecessary clutter. It also has an automatic Desktop wallpaper changer, and the store will have all of the apps and games you want.